February was a short but busy and challenging month for the student council. The month began with a frantic search for sponsors for the 2017 Make a Difference Fun Run. Students were able to raise more than P200,000 pesos from local businesses, parents and staff. We would like to send out a sincere THANK YOU to all donors. Next event was the annual Middle/High School Overnight Party and Valentine’s Day Sale. Students organized a successful Valentine’s Day fundraiser by selling roses, heart-shaped balloons, and brownies which resulted in P10,000 in profit. Students assisted with the installation of new playground equipment at Apung Guidang Nepomuceno School, which were made by BOAZ and purchased for P35,000 with student council funds. A “working party” of fifteen female students painted the 5-seat swing set and monkey bars rainbow colors while the boys were busy clearing the rubble from a demolished building. Students also took a part in the annual charity concert, which raised in excess of P160,000 for the needy. 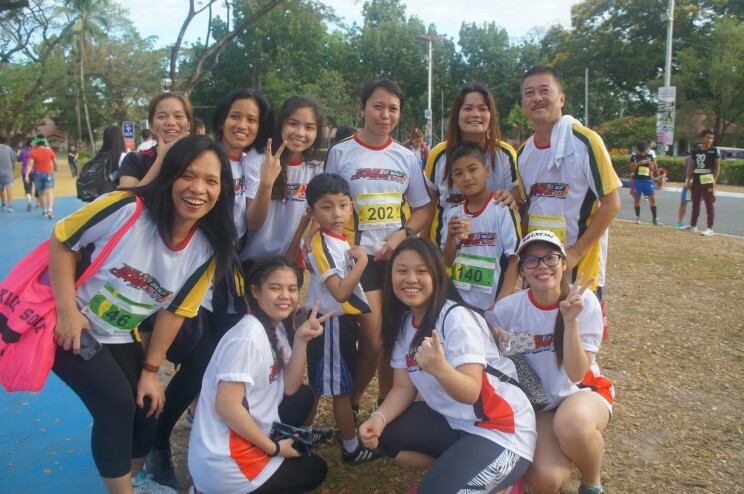 Finally, the Fun Run was held at Clark Parade Grounds on the 25th of February. The tireless efforts of Eo Jin Joo, Hee Su Yun, Jung Eun (Judy) Yoon, Hana Shin, and Joo Yeon (Jenny) Oh paid off with more than 400 runners registering for the run. Congratulations to these dedicated students for five months of persistence and hard work.